North Korean leader Kim Jong Un has given the breakdown in talks with the United States "till the end of this year" before he walks away, suggesting that the Trump administration needs to be more flexible. "It is essential for the U.S. to quit its current calculation method and approach us with a new one," Kim said in a Friday speech to the Supreme People's Assembly, according to Reuters, citing North Korean state-owned KCNA. Trump and Kim have held two summits, in Hanoi in February, and Singapore in June. 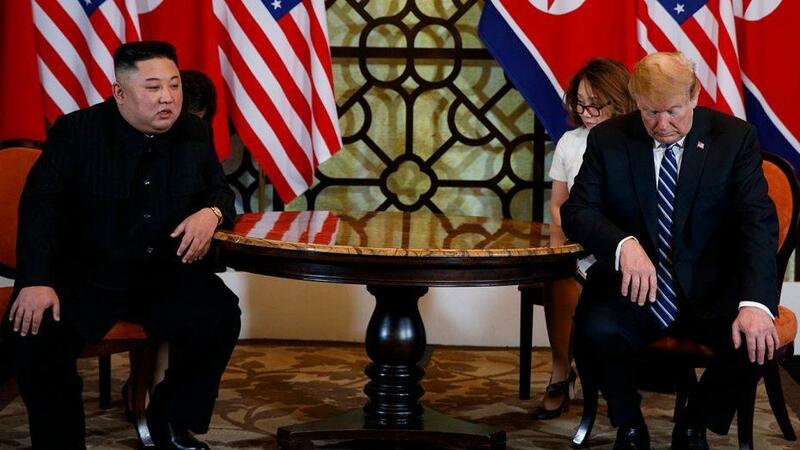 While the first meeting built goodwill and ended in a generic agreement that North Korea would denuclearize, the Feb. 28 Hanoi summit ended abruptly after Trump handed Kim a piece of paper demanding Pyongyang give the United States its existing nuclear weapons and enriched uranium, according to Reuters, which described the document as representing "Bolton's long-held hardline "Libya model" of denuclearization. A lunch between the two leaders was canceled that day. Kim said during his Friday speech that in Hanoi, the United States came "to the talks only racking its brain to find ways that are absolutely impracticable," and did "not really ready itself to sit with us face-to-face and settle the problem," Kim added - nothing that his personal relationship with Trump is still good. "If it (the United States) keeps thinking that way, it will never be able to move the DPRK even a knuckle, nor gain any interests no matter how many times it may sit for talks with the DPRK," Kim added. 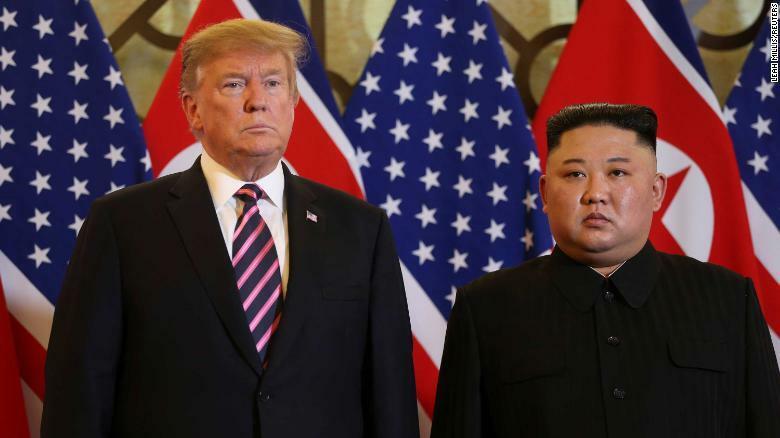 Kim said that the outcome in Hanoi caused him to question what he agreed to last year during the first summit with Trump, and "aroused a strong question if we were right in taking the steps with strategic decision and bold resolution, and evoked vigilance as to the U.S.’ true willingness to improve its relations with the DPRK." Trump responded in two Saturday morning tweets, saying: "A third Summit would be good in that we fully understand where we each stand," adding "I look forward to the day, which could be soon, when Nuclear Weapons and Sanctions can be removed, and then watching North Korea become one of the most successful nations of the World!" Trump added. Kim said on Friday that he has no interest in a third summit if it's just a repeat of Hanoi. Meanwhile, provocations between North Korea and the United States appear to be on the cusp of escalating once again. The United States, for example, tested an anti-ballistic missile system and has been conducting military drills with South Korea, despite Trump's assurances that large-scale exercises would cease. North Korea, meanwhile, warned in March that Kim might reconsider a moratorium on missile launches and nuclear tests they have maintained since 2017, if the United States doesn't ease sanctions - according to a North Korean senior official. South Korea says it's trying to help the situation, saying in a statement that officials would "do what we can in order to maintain the current momentum for dialogue and help negotiations between the U.S. and North Korea resume at an early date." According to North Korean state media on Saturday, South Korea's purchase of two recently delivered F-35A fighter jets was a "serious provocative act" that could cause relations along the Korean peninsula to deteriorate. "Bringing in weapons of war is an obvious threat. South Korea needs to behave itself better, and think about how such an imprudent act could lead to catastrophic outcomes," North Korea said in its report. Kim, in his Friday speech, said that he is committed to better North-South Korean relations and peaceful unification. "I make it clear once again that it is my unwavering determination to turn the North-South ties into those of durable and lasting reconciliation and cooperation by holding hands with the south Korean authorities and to write a new history of the nation, peaceful and co-prosperous."